Whether you are planning a charitable event, company appreciation party or a school reunion we can help. 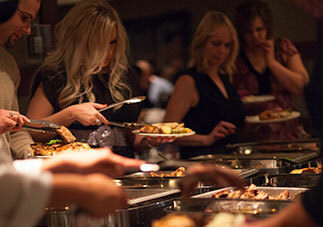 Our experienced catering staff can help you plan and organize your event in one of our spacious banquet rooms. You will feel at ease as our Executive Chef and his experienced culinary team create a menu to suit your every need. Whether you are planning a small intimate gathering or an elaborate affair, our professional Food & Beverage Team can help make your event a reality.